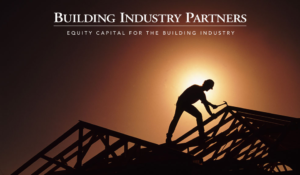 Denver — Building Industry Partners, a building products industry-focused investment firm, has formed U.S. Fence Solutions Company in partnership with BIP Operating Partner and building industry veteran, Allan Breidenbach. BIP and Breidenbach formed U.S. Fence Solutions to invest in Split Rail Fence & Supply Co. (“Split Rail”) and build a fencing and installation business. U.S. Fence Solutions completed its inaugural investment, investing in Split Rail in partnership with its founder, Tom Barenberg. Split Rail was founded in 1974 in the Front Range of Colorado. Split Rail has more than 120 employees, with locations in Littleton and Dacono, and serves the markets’ local, regional and national homebuilders, homeowner associations, multi-family and commercial builders and developers, municipalities, fencing and remodeling contractors, and homeowners. Split Rail has a legacy of more than 40 years in the Colorado community and building industry, with an estimated 100,000+ Split Rail signs displayed on fences throughout the Front Range of Colorado. Allan Breidenbach becomes President of Split-Rail and CEO of parent company, U.S. Fence Solutions. Barenberg will continue in Split Rail management alongside Breidenbach and as a significant shareholder. Matt Ogden, Founder & Managing Partner of BIP, said, “We feel extremely fortunate to become associated with Split Rail, a fixture in the Denver building community since the 1970s. We’re partnering with one of the fencing industry’s leading entrepreneurs in Tom, and we’re bringing in a visionary and proven leader in Allan to lead Split Rail to its next level of success. Tom and his associates have built one of the finest integrated distribution and installation businesses we’ve encountered. Foremost, our mission will be to preserve Split Rail’s longstanding formula for success. I know Allan, Tom, and the team are also excited to collaborate in finding ways to make Split Rail an even better supplier, customer, and employer in the Front Range community. U.S. Fence Solutions will actively seek to partner with, and/or acquire, strong independent fencing distribution and installation businesses in additional U.S. markets. LBM Journal is the leading media company serving lumberyards, building material distributors, wholesalers, manufacturers, and service providers — otherwise known as the lumber/building material (LBM) distribution channel. © Copyright 2019 LBM Journal, All Rights Reserved.